If you only know ginger as the golden powder that goes into your holiday baking, working with the fresh root will be a revelation. 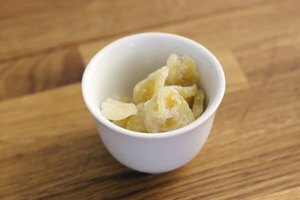 Dried ginger has a sharp and relatively one-dimensional flavor, but juicy, aromatic ginger root is all about nuance. The familiar burn is still there, but it's surrounded and complemented by a host of subtly floral, citrusy notes that do wonderful things for your food. 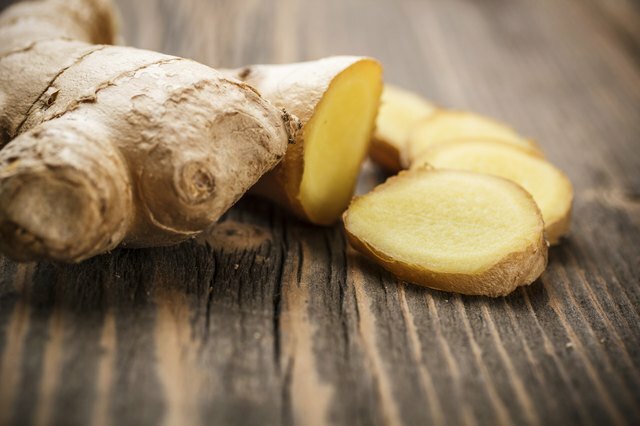 Like most produce, ginger root tastes best when it's fresh. Look for rhizomes or "hands" that are plump and heavy for their size, with thin, pale skin. If you snap off one of the small pieces from the edge, the flesh inside should be a delicate off-white, gold or even red, depending on the variety, and bursting with juice. The skin, while edible, is peeled in Chinese and Indian recipes calling for minced or chopped ginger. You might also remove the skin for aesthetic reasons or leave it for sliced ginger that will be removed before serving. You don't need a knife or peeler to remove the skin; it scrapes off easily with a spoon. 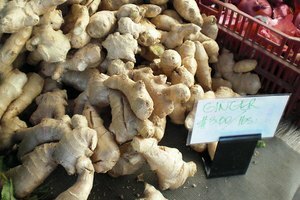 Ginger is a staple in the cuisines of China, Thailand, Vietnam, India and the Caribbean. It can be sliced or julienned, shredded or minced, or even pounded to paste in a mortar and pestle as needed. In a stir-fry, for example, add slices or matchsticks of julienned ginger to your hot oil along with the onions and garlic. Ginger perfumes the cooking oil, which then spreads its flavor to the other ingredients. Make the pieces small enough to leave in, or large enough to easily remove before serving, as you prefer. In curries or spice pastes, use shredded or finely minced ginger instead. If you bake regularly with ginger, substitute fresh for part of the dry powdered ginger called for in your recipe. For example, if your recipe calls for 1/2 teaspoon of ginger powder, you could scale the powder back to 1/4 teaspoon and add 1 1/2 teaspoons -- or more, if you wish -- of fresh. The subtler, rounded flavors of fresh ginger will take your pies, cookies and muffins to a new level. Alternatively, simmer chopped ginger with sugar and water to make ginger syrup. 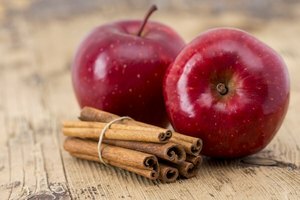 Drizzle it on your spice cakes, and use it on ice cream or stewed fruit. 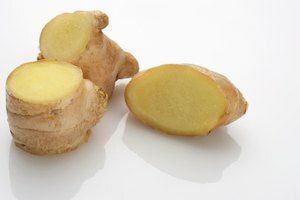 Fresh ginger root has a shelf life measured in just a few weeks, rapidly shriveling and toughening as it ages. To open up new ways to enjoy it, consider preserving a quantity. Slice unpeeled, thin rounds of ginger and preserve them in a jar of sherry. Candy slices or julienne strips by simmering them in heavy syrup, then coating them with sugar crystals. For a completely different effect, use a peeler or sharp paring knife to make paper-thin sheets of ginger, and pickle them in the Asian fashion as a sushi condiment. The drop of red food coloring is traditional but not mandatory. Sometimes the most convenient way to eat your ginger is to drink it instead. Slicing or chopping fresh ginger and simmering it in hot water yields a richly flavored beverage that soothes the stomach and helps clear a stuffy head. Alternatively, make your own ginger ale at home. Brew it the old-fashioned way by adding sugar and yeast to your ginger tea and letting it carbonate through fermentation, or cheat by mixing your homemade ginger syrup into a glass of club soda.